Life Magazine. 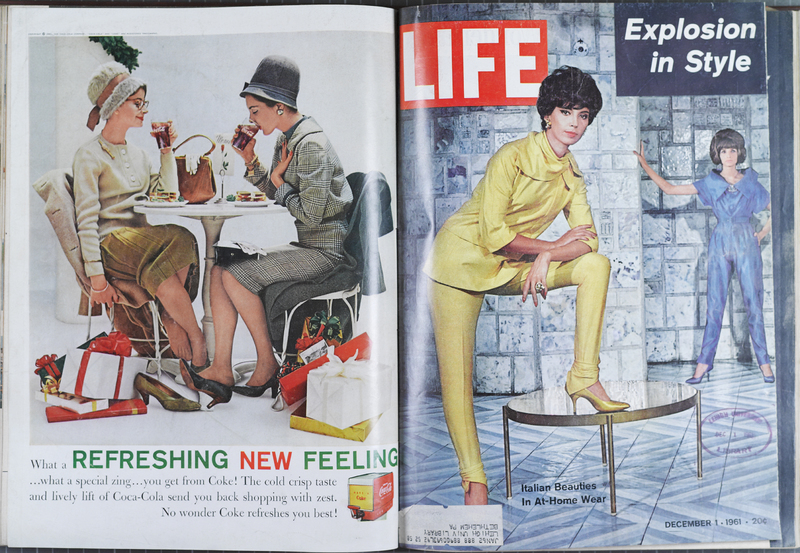 Chicago: Time, Inc. September, 1961 and December, 1961. 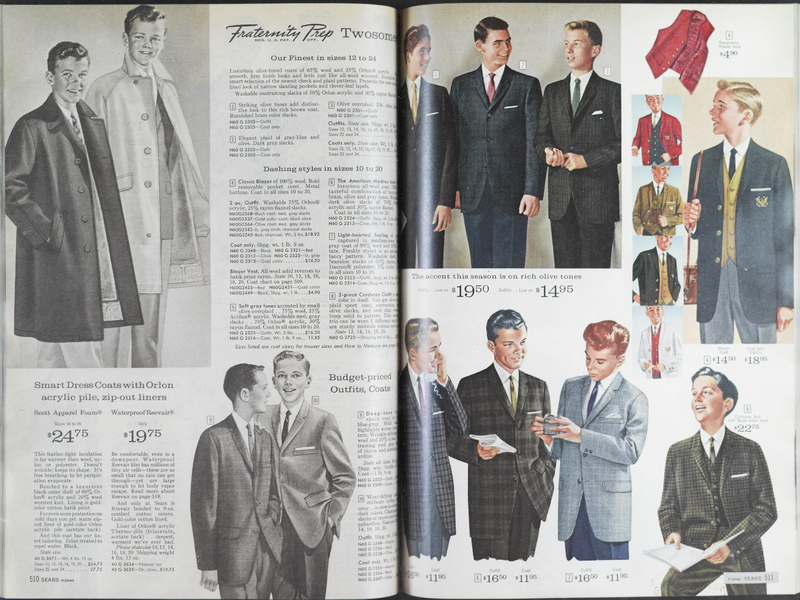 Giving valuable insight into trends in American fashion over time through photojournalism, Life was an American magazine published from 1883 to 1936 as a humor and general interest magazine. In 1936, Time founder Henry Luce bought the magazine to acquire the rights to its name. After Luce’s acquisition, Time was published as a weekly news magazine until 1972, as an intermittent “special” until 1978, and as a monthly magazine from 1978 to 2000. Life was the first all-photographic American news magazine that dominated the market for more than 40 years, selling more than 13.5 million copies a week at its height. Perhaps one of the best-known pictures printed in the magazine was Alfred Eisenstaedt’s photograph of a nurse in a sailor’s arms taken on August 27, 1945 celebrating VJ Day in New York City. These illustrations show fashion’s departure from ornate and formal attire into what became known as “casual chic." ← American Chronicle. Year by Year through the Twentieth Century.